Gwyneth Paltrow is famous for many things: Sliding doors (classic), that oscars speech (hilarious), Goop (admirable but depressing) and the much mocked ‘conscious uncoupling’ statement (embarrassing). But what I know and will always love her for is Margot. I watched the Royal Tennenbaums on a flight to visit my family in Hong Kong, upon landing I immediately bought the VCD (old school) and then after everyone took the piss out of me for owning a VCD, the DVD. 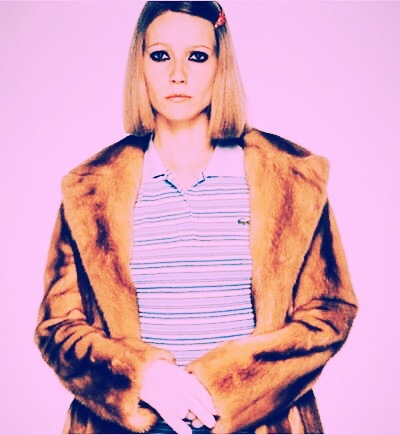 The royal tennenbaums is one of those movies not everyone gets but you’ll love once you see, particularly if you have a dark sense of humour. Neurotic single dad Ben stiller, permanently clad in an Adidas tracksuit, making his two sons (also dressed in matching trackies) do fire drills in the middle of the night, every night, is sad and comedically brilliant. The scene where Luke Wilson runs away from Wimbledon because he’s in love with his sister who their dad never fails to point out in her presence that’s she’s adopted. Said dad pretending he has cancer and setting up a mini hospital in the family home because he fears he’s losing his wife to Danny Glover aka ‘Coltrane’, whom he later threatens to “talk some jive’ to, and Owen Wilson’s creepy Eli, desperate to be part of the family. Yet at the centre of it all, the character that steals the show, is Margot. Not only does she look achingly cool in every shot, with her blunt blonde bob childishly clipped on one side, and kohl eyeliner so thick it takes you back to the first time you ever used it. Half child who’s raided a dressing up box and half grand old dame, it is the old school glamour of Gywnnie constantly puffing on a ciggie in a fur, juxtaposed with her baby blue polo dress and hair clip that make Margot the coolest character of all. Confused about her love for her brother, trapped in an unhappy marriage with a weird husband and son, Margot spends most of the time smoking in the bath with a fan on. She’s broken, fragile, a hopeless romantic, never with a hair out of place. Paul Windle and Neil Moodie are the masters of the makeover. Loved by the fashion industry with over 20 years experience they’ve cut for countless covers of Vogue, Elle and Harper’s Bazaar. I visited their salon a few years ago and am still gushing. Definitely my favourite place to go in London. 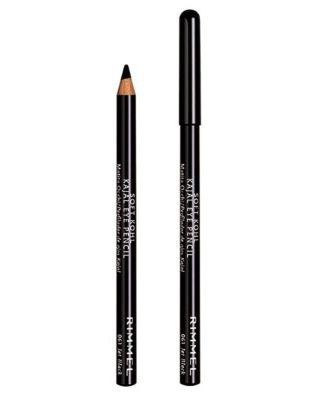 When it comes to black eyeliner, as long as it’s kohl you can’t go wrong. M.A.C smoulder is a classic but Rimmel‘s does the same for a third of the price. Tawny furs popped up at Louis Vuitton made modern with leather trim. 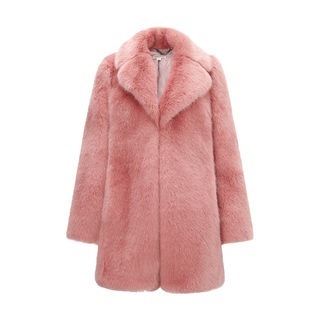 If Louis V is a bit out of budget, Topshop and Whistles have faux fur teddy bear coats at a fraction of the cost. Great if you want to save the animals. Whistles, Kumiko Faux fur coat, £275, Whistles.